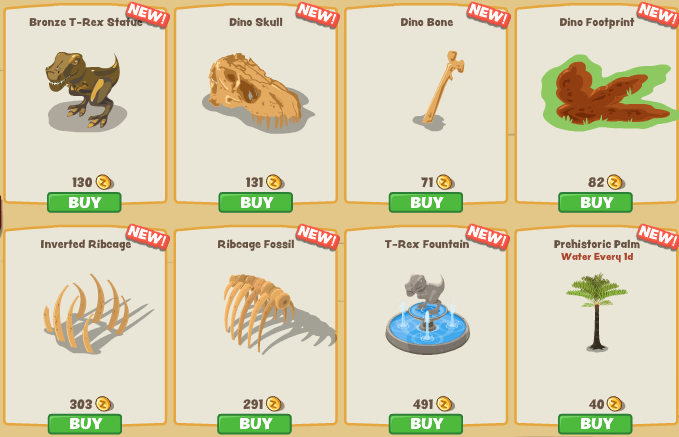 The biggest disappointment in this set is that every single dinosaur requires Facebook Credits to obtain. Most games will make the best of each theme cost real world money, but generally not every single animal in the theme. 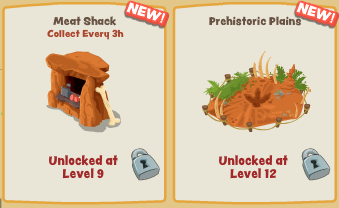 Most of the items in this theme are pretty useless unless you have dinosaurs to accompany them. We suspect players are pretty upset about this being the case, since dinosaurs are an exotic and interesting addition to the game and not everyone will get to experience them. 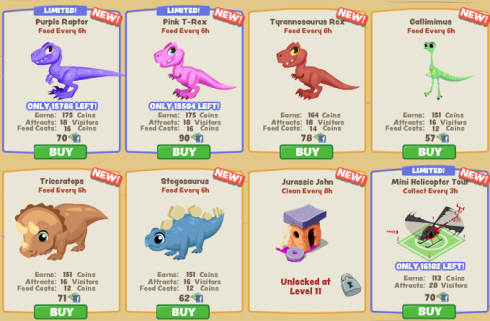 It is possible this is just the first release of the dinosaurs and that they will be releasing more animals for coins in the future.